December is Universal Human Rights Month. 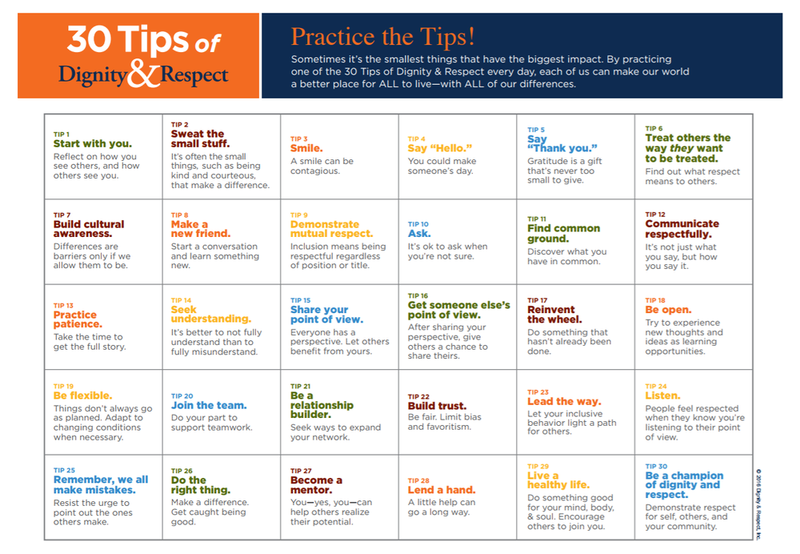 The Dignity and Respect Campaign offers these 30 tips to "encourage each of us to be mindful of our interactions with others." We at the Rader Ward Foundation believe in equality, justice, and the dignity of all humans.